Paddington Bear, the friendly bear with a love of marmalade, was discovered by the Brown family at Paddington Station in London. As there was a luggage tag attached to his duffel coat which read ‘Please look after this bear’, the Browns adopted him. This is how the first Paddington Bear story begins; the author, Michael Bond, wrote the book after noticing a lonely teddy bear sitting unsold on a shelf near Paddington Station one Christmas Eve. Since he first appeared in 1958, Paddington Bear has become a staple of British culture, and there’s plenty of ways to introduce your kids to this classic tale. The station is close to plenty of hotels in Paddington, London, so this is often people’s first introduction to the famous bear! Unveiled in 2000, this statue of Paddington Bear wears his famous hat and is sitting on his battered suitcase, which travelled with him all the way from Peru. The statue, on Platform 1, is inspired by the book’s original illustrations, so adults who read these as children will enjoy the visit too. Near the Paddington station statue is the only shop in the world dedicated to the famous bear! Models, mugs, books and, of course, teddies are on offer. You can also pick up a leaflet and map to follow the Pawprint trail. But if you really want to spoil the kids rotten, head to Regent Street. There, you’ll find Hamley’s, London’s most famous toyshop. They’ve been selling Paddington Bears for over 40 years, and even have a specialist teddy bear section. You’ll find it easy to get to Regent Street from our hotels in Paddington, London. Because Paddington is so important to London, a special trail was set up in 2014 so you can follow his adventures over the city. 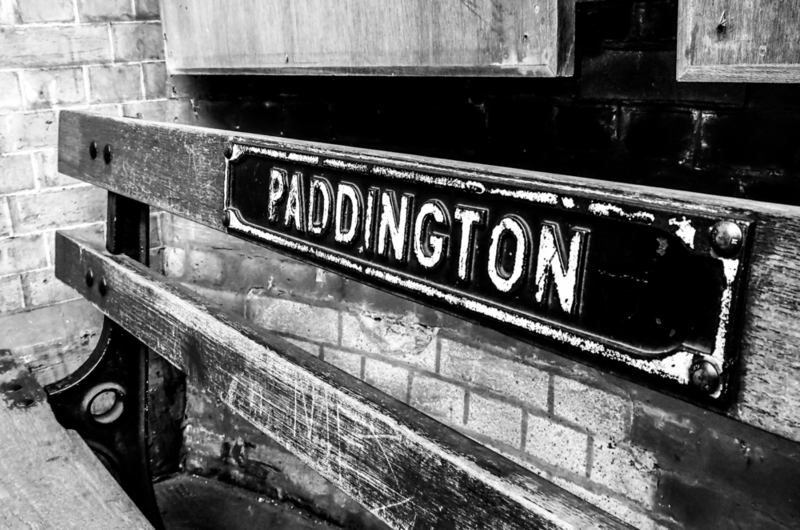 Pack some marmalade sandwiches and set out on a hunt for the models of Paddington hidden nearby! Visitors get to see some of the very best of London this way, visiting the Brown family’s neighbourhood, and maybe even getting to enjoy the world’s first water maze in Merchant Square. There are different adventures to pick so you can follow the one that most suits your family. Take a traditional Tube train to Bethnal Green, where you’ll find the V&A Museum of Childhood. They were given a Paddington Bear almost thirty years ago, a special British version who wears a safety pin in his hat. Your kids will love this museum, and it’s free to get in. Dolls, games, and of course soft toys will make visiting a magical experience for any child who loves to play. If you want to discover all the amazing Paddington Bear secrets hidden nearby, check into the Park Grand London Paddington Hotel. Your adventure with the kids can last all weekend, with an amazing stay at a central boutique hotel making it even better. Share the post "Paddington Bear themed activities to enjoy during your stay with the kids"
This entry was posted in London Travel Guide and tagged London Paddington Guides. Bookmark the permalink.